Johnny “Hammond” Smith’s recording career began in 1958. A year later he released his debut album Have You Heard. This was the first of two albums Johnny “Hammond” Smith released during 1959. Over the next sixteen years, Johnny “Hammond” Smith released another thirty album. His thirty-second album was Gears, which was recently rereleased by BGP, an imprint of Ace Records. 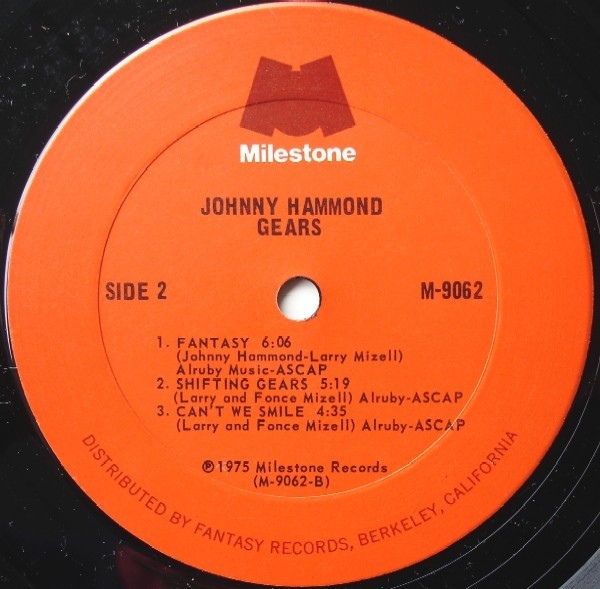 By the time Johnny “Hammond” Smith began work on Gears, his music had been becoming more funky. His music had changed over the last four years. This happened after Johnny “Hammond” Smith left the Prestige label. This was where Johnny “Hammond” Smith had enjoyed the most successful period of his career. He signed to Prestige in 1961, and was their through the label’s glory years. Johnny “Hammond” Smith rubbed shoulders with some of the most innovative jazz musicians, including John Coltrane, Miles Davis, Thelonious Monk and Yusef Lateef to Freddie McCoy and Freddie Roach. However, in 1971, Johnny “Hammond” Smith decided to leave Prestige. Next stop was CTi Records. Creed Taylor had founded CTi Records in 1968. Originally, a producer, he had worked for ABC Records. Creed Taylor had founded its Impulse! subsidiary in 1960. One of Creed Taylor’s first signing was John Coltrane. He released some of the best music of his career at Impulse. However, by then, Creed Taylor had moved on. In 1961, Creed Taylor left Prestige and began working for Verve Records. During his time at Verve Records, Creed Taylor helped popularise the bossa nova. He signed Antonio Carlos Jobim, João and Astrud Gilberto Verve Records. Soon, the bossa nova was influencing other artists signed to Verve Records, including Donald Byrd. However, popularising the bossa nova was only part of Creed Taylor’s achievements at Verve Records. He also produced albums by Wes Montgomery, Jimmy Smith and Bill Evans during his six year tenure. It came to an end in 1967. That was when Creed Taylor started at A&M, and founded CTi Records. Creed Taylor’s time at A&M was brief. He left in 1968, to concentrate on establishing CTI Records as an independent record company. That’s what he proceeded to do. When Johnny “Hammond” Smith left Prestige in 1971, he signed to Creed Taylor’s CTi Records. By then, it had an enviable roster. Stanley Turrentine, George Benson, Gábor Szabó, Freddie Hubbard and Hubert Laws had been, or were, part of the CTi Records’ family. 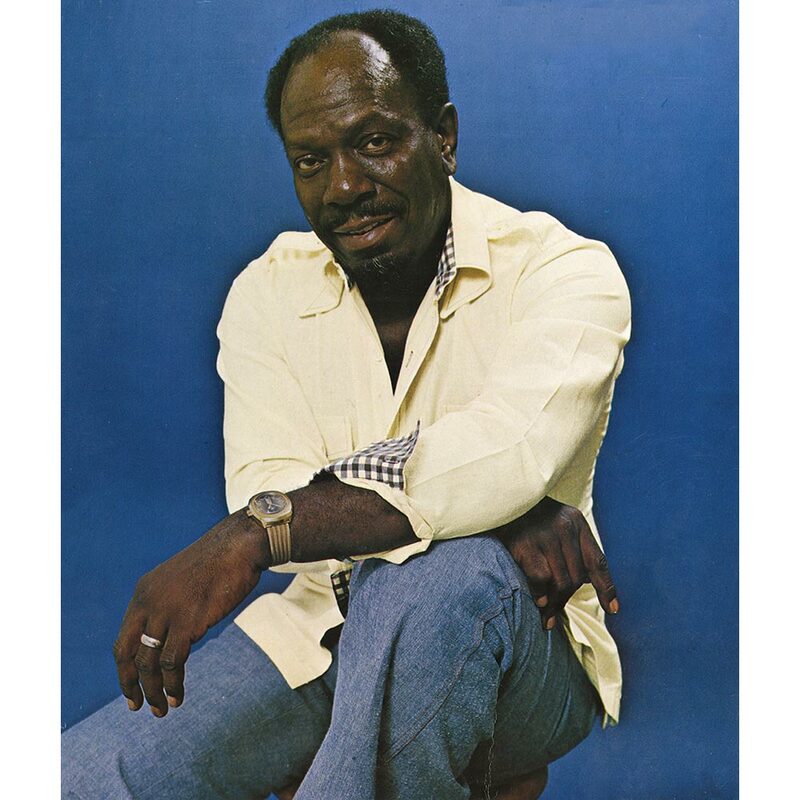 Now Johnny “Hammond” Smith was signed to CTi Records, and released some of the funkiest music of his career on its Kudu Records imprint. The Kudu Records imprint was established in 1971, and was a perfect home for Johnny “Hammond” Smith. It was geared towards soul jazz. However, over the years everyone from Grover Washington, Jr, Hank Crawford, Grant Green, Joe Beck, Lonnie Smith and Idris Muhammad all pitched up at Kudu Records. This change of label seemed to reinvigorate Johnny “Hammond” Smith. Between 1971 and 1973, Johnny “Hammond” Smith released four albums on Kudu Records and one its sister label Salvation. His debut was Breakout, released in 1971, and was the perfect way to start a new chapter in his career. Before signing to Kudo Records, their latest signing was billed as Johnny “Hammond” Smith. However, this was problematic. People kept mixing Johnny “Hammond” Smith with the guitarist Johnny Smith. So a decision was made for Johnny “Hammond” Smith to become Johnny Hammond. That seemed especially fitting, as the Hammond organ was Johnny’s musical weapon of choice. Soon, this change of name became ironic, when Johnny started to add other keyboards to his arsenal. This began with his Kudo Records debut Breakout. Once Breakout was recorded, Kudo Records announced their latest signing Johnny Hammond was about to release his debut album Breakout. However, first critics had to have their say. When critics heard Breakout, they realised it was one the best albums the newly named Johnny Hammond had released in the last few years. It was also an eclectic album. 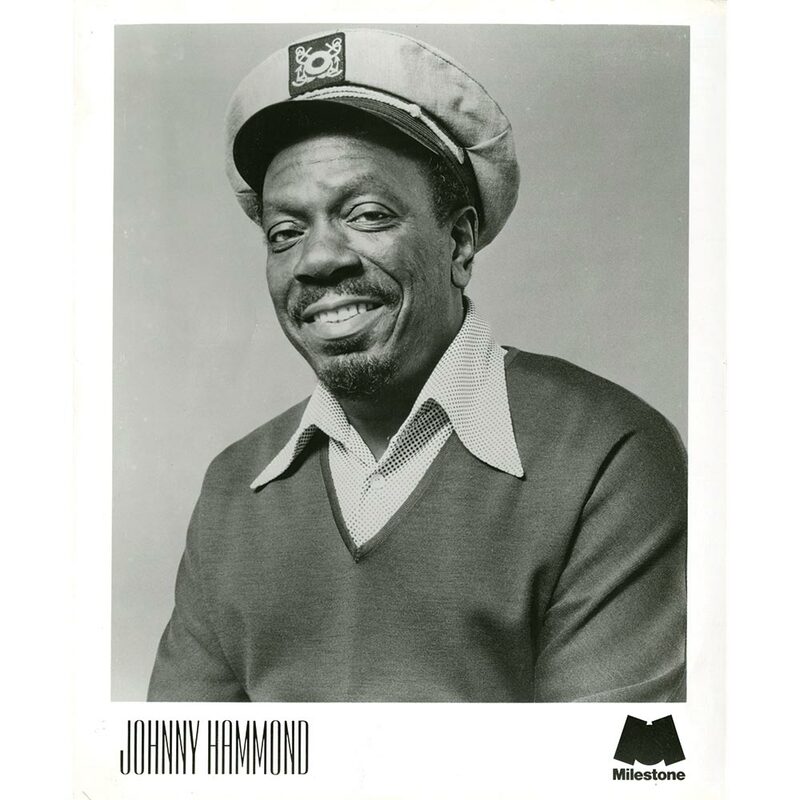 There was everything from blues and soul jazz, to some of the funkiest music of Johnny Hammond’s career. However, there was a still a soulful side to Breakout. Creed Taylor had brought out the best in Johnny “Hammond” Smith on this eclectic album. It looked like being a fruitful partnership. That proved to be the case. When Breakout was released in 1971,it reached number 123 in the US Billboard 200, fifteen in the US R&B charts and number three in the US Jazz charts. Buoyed by the success of Breakout, Johnny Hammond began work on the followup. 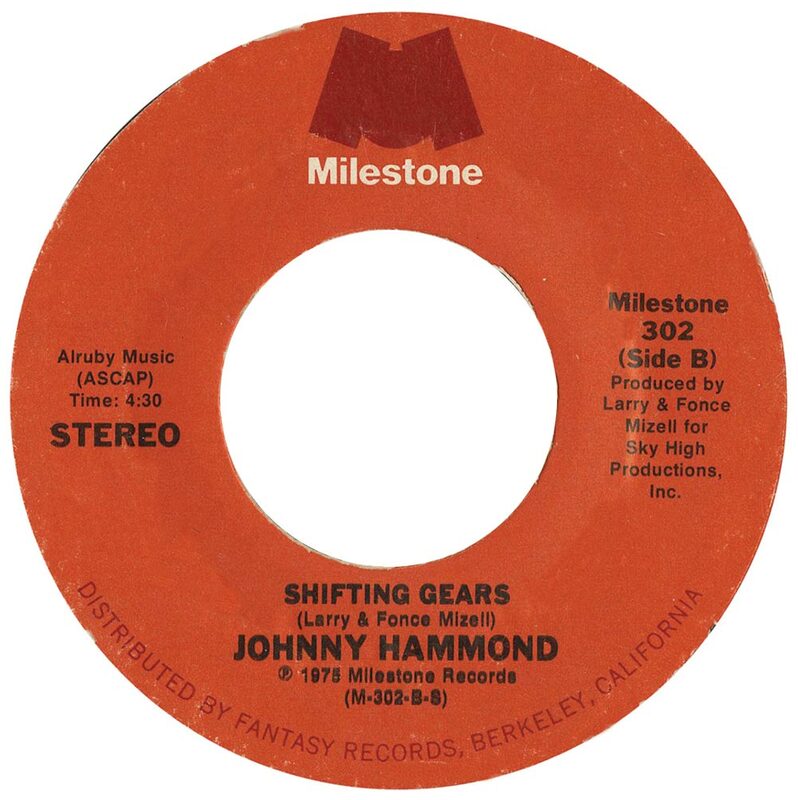 Later in 1971, Johnny Hammond announced the release of the followup to Breakout, Wild Horses Rock Steady. Creed Taylor had produced another critically acclaimed album. It was described as über funky. No wonder. Accompanying Johnny Hammond were a band of top musicians. They were versatile, and could play nearly any genre, including funk. With their help, Johnny Hammond’s conversion to funkateer was almost complete. However, how would his old fans react? When Wild Horses Rock Steady was released, it stalled at number 174 in the US Billboard 200, forty-three in the US R&B charts and fifteen in the US Jazz charts. This wasn’t as successful as Breakout. Maybe Johnny Hammond’s change in direction had alienated his loyal fans? Little did Johnny Hammond realise that things were about to get a whole lot worse. Johnny Hammond returned in 1972 with The Prophet, his third album for Kudo Records. Despite being well received by critics, Prophet failed commercially. It failed to trouble the charts. Surely this was only a minor blip? It wasn’t. When Johnny Hammond returned in 1974 with Higher Ground, it proved to be his weakest album for Kudo Records. Critics felt that Johnny Hammond overpowered the rest of the band, including the horn section. Producer Creed Taylor seemed unable to reign him in. Record buyers seemed to have read the reviews of Higher Ground, and when it was released, it failed to chart. Things had started so well with Breakout, but commercially, had been downhill all the way after that. So Creed Taylor and Johnny “Hammond” Smith decided it was time for a new production team to work with Johnny. Creed Taylor had two men in mind, Larry and Fonce Mizell. The Mizell Brothers worked under the Sky High moniker, and were already a successful production partnership. Their track recorded suggested that they had what was needed to rejuvenate Johnny “Hammond” Smith’s ailing career. So the Mizell Brothers and Johnny “Hammond” Smith got to work. The resultant album Gambler’s Life was a big improvement on Higher Ground. It had been recorded at The Sound Factory in Los Angeles. This was the Mizell Brothers’ favourite studio, so it seemed the perfect place to record Gambler’s Life. The change of ‘scenery’ enlivened Johnny Hammond. At The Sound Factory, Johnny Hammond deployed a variety of different keyboards, including synths and Fender Rhodes. Another difference was that Johnny Hammond wasn’t just a soloist, but part of his band’s rhythm section. This made a big difference to the album. Gambler’s Life was funky, soulful and dance-floor friendly. Other times, the music is laid-back and blissful. The Mizell Brothers had reinvented Johnny Hammond. However, it was only Larry Mizell that received a production credit. His brother Fonce was credited as a musician. Regardless of who produced the album, the Mizell Brother, Creed Taylor and Johnny Hammond must have had high hopes for Gambler’s Life. Despite positive reviews by critics, Gambler’s Life failed commercially. When it was released on the new CTi Records subsidiary Salvation, Gambler’s Life didn’t even come close to troubling the charts. This proved to be the end of Johnny Hammond’s time at CTi Records. Having left Creed Taylor’s employ, Johnny Hammond was signed by Milestone, an imprint of Fantasy Records. The Mizell Brothers were retained to produce Johnny Hammond’s next album. This would become Gears, the thirty-second album of Johnny Hammond’s career. Work began on Gears almost as soon as the ink was dry on the contract. The Mizell Brothers penned five of the six songs on Gears. This included Tell Me What To Do, Los Conquistadores Chocolatés, Lost On 23rd Street, Shifting Gears and Can’t We Smile? Johnny Hammond wrote the other track Fantasy. These six tracks became Gears, which was recorded with The Mizell Brothers’ favoured musicians. Recording of Gears took was split between The Sound Factory in Los Angeles and Fantasy Records’ own in-house studio. The rhythm tracks were recorded at Fantasy Records’ studio during July 1975. That’s where drummer Harvey Mason, bassist Chuck Rainey and guitarists Craig McMullen and Craig Rowan got to work with Johnny Hammond. Together, they laid down the rhythm tracks. Then at The Sound Factory, the Mizell Brothers were joined by the rest of the band in September 1975. Fonce Mizell played clavinet and Larry Mizell added piano and solina. They were joined by percussionist Kenneth Nash, violinist Michael White, pianist Jerry Peters and Roger Glenn on vibes and flutes. The horn section featured tenor saxophonist Hadley Caliman and trombonist Julian Priester. Johnny Hammond, the star of the show, played Hammond organ and electric piano. Once the six tracks were recorded, Gears was released. Critics hailed Gears the finest jazz-funk album of 1975. They only changed their mind when Donald Byrd released Spaces and Places. However, two tracks on Gears, Fantasy and Los Conquistadores Chocolates were geared towards the dance-floor. Johnny Hammond was about to embrace disco. Jazz purists held their hands up in horror, recoiling at Johnny Hammond’s stylistic departure. Would this change in style result in a change in Johnny Hammond’s fortunes? When Gears was released in late 1975, sales were slow. Eventually, Gears reached number thirty-one on the US Jazz charts. This was disappointing. However, then Los Conquistadores Chocolatés was released as a single. It reached number four on both the US Dance Music/Club Play Singles and US Disco Singles charts. At last, Johnny Hammond’s luck was changing, and Gears was the album that was responsible for this. Gears is now regarded as a jazz-funk classic, and celebrates its fortieth anniversary this year. Has it stood the test of time? Stabs of Fender Rhodes open Tell Me What To Do, which opens Gears. After a flourish of Fender Rhodes, things get funky. Drums pound, a guitar chimes and wah-wahs. It combines with the rhythm section and percussion. By then, Johnny’s adding a probing, confused vocal. “Tell Me What To Do?” he asks. Behind him, wistful tenor saxophone plays, as his band stretch their legs. Soon, the arrangement veers between smooth to funky and jazz-tinged. Johnny switches between Fender Rhodes to Hammond organ on this quite beautiful, mid-tempo track. Literally, the arrangement floats along, before Johnny adds a masterclass on his Fender Rhodes. Later, his vocal becomes dubby, adding a mysterious air, as Gears, a true jazz-funk classic begins to share its secrets. After a spoken word vocal, a gale blows and Harvey Mason lays down a drum solo. He nails it. Soon, he’s joined by a flute and a bouncy, funky bass. It’s the signal for thinks to get funky. Keyboards, wah-wah guitar and the rhythm section combine with vibes. Already, Johnny is playing a starring role, laying down a solo. However, the rhythm section and guitars aren’t far behind. This seems to push Johnny to greater heights. He lays down a Hammond organ solo. In his hands, the ‘big burner’ comes to life. Along with the rhythm section, he helps drive the arrangement along. By then, he’s stealing the show. His performance can only be described as a virtuoso one. Without doubt, it’s one of the highlights of Gears. Johnny moves through the Gears on what was an unlikely disco hit. Other-worldly synths open Lost On 23rd Street. Soon, the rhythm section and chiming guitar play slowly, as the arrangement glides effortlessly along. Then an Arp ProSoloist keyboard replicates what sounds like a haunting trombone solo. Effects have been used to transform the sound. By then Johnny is playing the Fender Rhodes. One minute his fingers glide along the keyboard, the next he stabs at them. A clavinet is added. However, the trombone dominates the arrangement. That’s until the tenor saxophone is unleashed. As the rhythm section, guitars and keyboards lay down a groove, the horns dominate the arrangement. They feed off each other. Soon, the funk factor increases, and the band are jamming. Suddenly, a tender vocal floats across the arrangement. It proves to be the icing on what’s a particularly tasty cake. Fantasy was the only track penned by Johnny Hammond. Harvey Mason’s drums are joined by percussion, a funky bass, wah-wah guitar and Johnny’s urgent keyboards. Lush strings are added, and signal the arrival of the hopeful vocal. A violin replaces the vocal, before it returns. From there, the arrangement builds. Instruments are added, disappear and reappear. This includes the Fender Rhodes and Hammond organ. However, a constant are the rhythm section and guitars. They’re responsible for one of the funkiest arrangements. Johnny more than plays his part, adding keyboard solos and a vocal. The result is one of the most memorable moments on Gears. As Shifting Gears begins, it has a much more traditional funky sound. It’s just the Chuck Rainey’s bass and Harvey Mason’s drums. Soon, percussion and a wah-wah guitar are added. Gradually, the arrangement begins to unfold. Johnny’s vocal is the next addition. There’s an urgency to his delivery. When the vocal drops out, a flute and then violin are added. Then when Johnny returns, a clavinet and keyboards add to what’s already, a dark, dramatic and edgy sound. Johnny delivers another virtuoso performance. Having unleashed one of his best solo, he shifts through the gears and the track takes on a cinematic sound. By then, Shifting Gears, with its funky, and later, smooth, slick sound wouldn’t sound out of place on either a Blaxploitation soundtrack or a dance-floor. On Can’t We Smile? which closes Gears, the tempo drops, and the Mizell Brothers add a smooth, but funky backdrop. The rhythm section supply the heartbeat, while guitars add to the funky sound. Johnny delivers a heartfelt, hopeful vocal as the arrangement glides along. Harmonies, a violin and shimmering, quivering synths accompany the vocal. After the vocal drops out, another tender solo is delivered. Meanwhile, Johnny’s three decades of experience shine through. Then accompanied by occasional harmonies, his vocal returns on this truly beautiful ballad. Johnny Hammond has kept the best until last on Gears. For their fortieth anniversary edition of Gears, BGP, a subsidiary of Ace Records, have included six bonus tracks. There’s a slow and fast version of A Child’s Love, plus Song For My Family, Detroit Rainbow and Funky Native. Fittingly an alternate take of Can’t We Smile? is the final bonus track. These six tracks are welcome additions, and showcase just how versatile and talented a musician Johnny Hammond was. 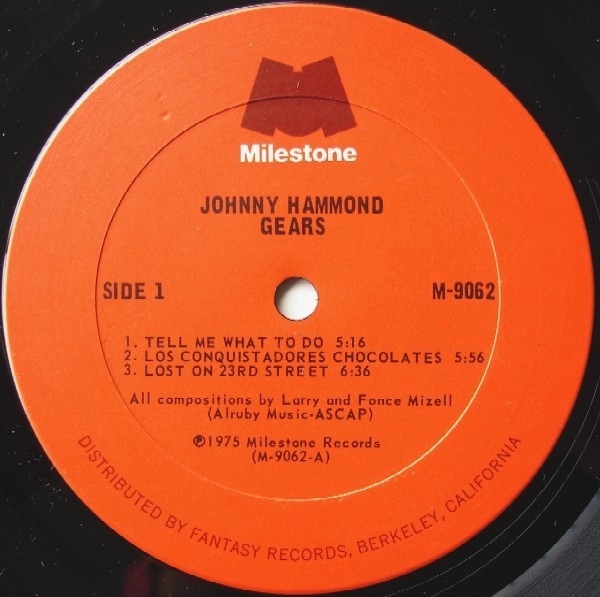 Sadly, Johnny Hammond only released three more albums after Gears. The first was 1976s Forever Taurus. Storm Warning followed in 1977. However, 1978s Don’t Let the System Get to You proved to be Johnny Hammond’s swan-song. By then, Johnny Hammond was only forty-five. He taught music during the eighties at California State Polytechnic University. However by the nineties, Johnny Hammond returned to life as a professional musician. However, he chose life as a sideman. Johnny Hammond was part Hank Crawford, Dianne Witherspoon and Dan Papaila’s bands. His final performance came at the Charles Earland Organ Summit. This was fitting, as Charles Earland had inspired Johnny Hammond. Sadly, ten days later on June 4th 1997, Johnny Hammond died. He left behind a rich and varied musical legacy. This included Gears, Johnny Hammond’s jazz-funk classic, which was released forty years ago in 1975. 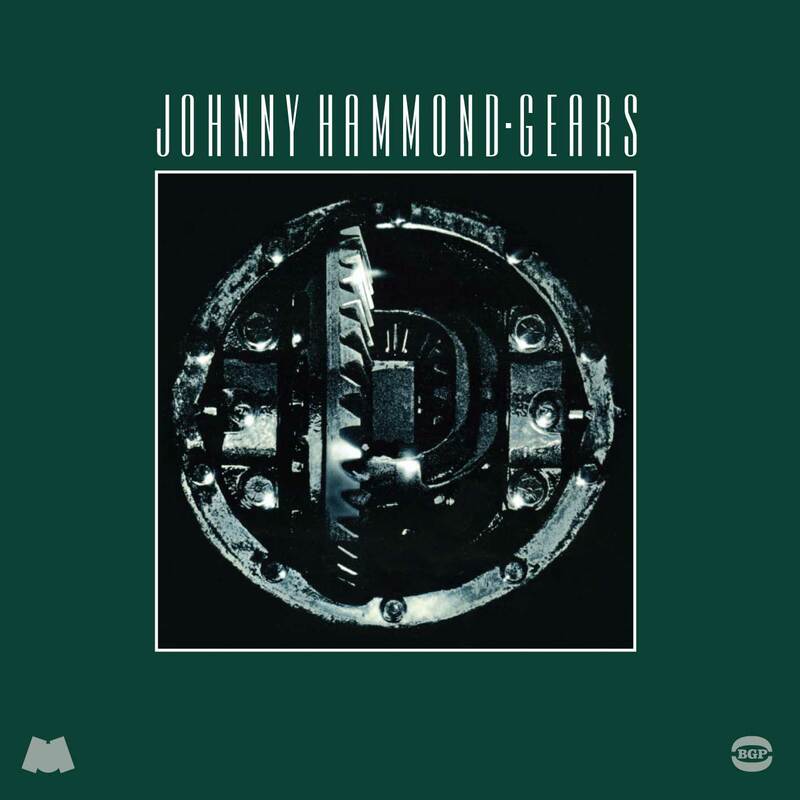 Forty years later, and Johnny Hammond’s last great album Gears, has stood the test of time, and is a fitting reminder of a jazz great. Excellent blog. Being playing” Gears” for 30 years. Especially “Fantasy”. Thanks for your comments. Glad you like my blog. Gears is a great album. There’s no weak tracks. Fantasy has always been my favourite track. Funnily enough, it was the only track Johnny Hammond wrote. Incidentally, the new 40th Anniversary reissue has six new bonus tracks. The sound quality is stunning. If you’re looking to upgrade a vinyl copy, I can thoroughly recommend this new reissue. Real nice post! I would love to read the original reviews of his LPs in 1970s! Btw I don’t think Johnny sings on the Gears LP though he did sing in a similar way on later LPs. Also the “trombone solo” on Lost on 23rd Street is actually the Arp ProSoloist keyboard (I have one here). Otherwise splendid info! Thanks for the heads up about the Arp ProSoloist keyboard. At the time, I thought it was probably something like an Arp. It sounds remarkably like a trombone, and has a quite haunting sound. Johnny didn’t sing on Gears. It was one of the session singers. The Arp ProSoloist keyboard is a remarkable instruments. You’re lucky to have one. It’s 2018 and I’m still listening to Gears daily. Gears is wonderful album and one I still enjoy listing to. I take it Gears is your favourite album? It is one of my favorites. I just discovered the 40th anniversary reissue CD of Gears with the bonus tracks. Were the bonus tracks recorded for Gears and not added or were they recorded separately? Also on the alternative version of Can’t We Smile? I hear George Benson style guitar playing. Glad that you’ve discovered a copy of the 40th anniversary version of Gears, which is a wonderful reissue. The bonus tracks were recorded during the Gears sessions and are a welcome addition. It’s a shame that the tracks have lain unreleased for so long. However, when the album was released there was only so much music they could fit on one LP. Things are very different with CDs, and bonus tracks can be included. Sometimes, bonus tracks are taken from the same session. However, other times, tracks from different sessions are included. Listening back to the guitar on the alternative take of Can’t We Smile? it does sound a bit like George Benson. Craig McMullen and John Rowin who played guitar on Gears and were part of a fantastic band. It’s definitely my favourite Johnny Hammond album. Glad it’s one of yours too.